The New York Times has called Eastham "Cape Cod's Little Secret." Located on the outer Cape, Eastham offers visitors a quieter and less crowded environment than some of the more well-known areas of the Cape. 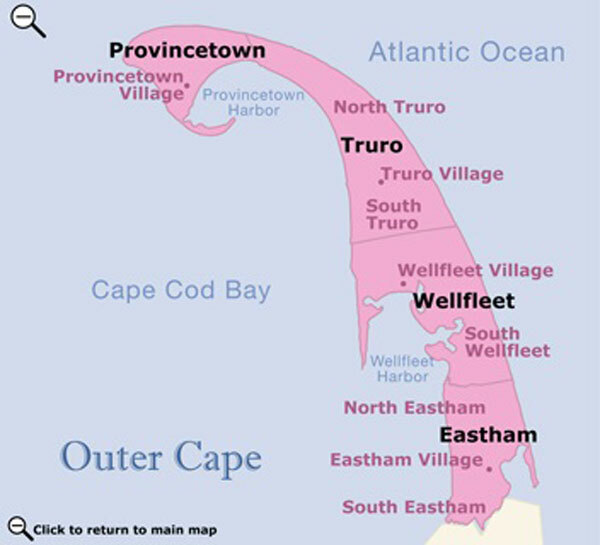 Settled in 1644 by some Pilgrims from Plymouth, Eastham is bounded by Cape Cod Bay to the west and the Atlantic Ocean to the east. Eastham is the gateway to the Cape Cod National Seashore, which was created in the 1960s to protect the sheltering dunes and beautiful coastline. 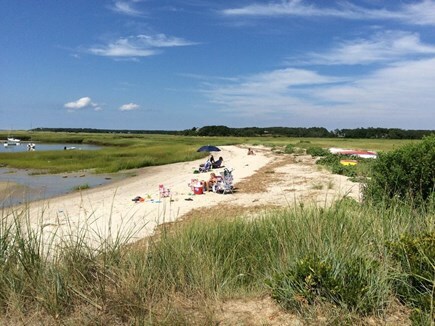 Eastham has two ocean beaches, Coast Guard Beach and Nauset Light Beach, which mark the beginning of a 30-mile beach stretching to Provincetown. The Salt Pond Visitor Center is the primary information center for visitors to the Cape Cod National Seashore and the starting point for many nature trails and bicycle routes. The Cape Cod Rail Trail runs the length of town, passing by salt marshes, cranberry bogs, and ponds, and ends at the Visitor Center. At Fort Hill, the Cape Cod National Seashore offers guide-yourself books for a 1.5 mile walking tour of the early settlement of Eastham. From here, there are spectacular views of Nauset Marsh and the Atlantic Ocean beyond. The red and white Nauset Lighthouse is said to be the most photographed site on Cape Cod. In 1996, the lighthouse was moved to a safe perch further from the eroding cliffs.